Born in Chicago, Illinois on 5 March in 1938, Lynn Margulis earned a bachelor’s degree from the University of Chicago in 1957. After a few months, she married the famous astronomer Carl Sagan. They divorced in 1964. Margulis acquired a master’s degree in zoology and genetics from the University of Wisconsin in 1960. She later earned a Ph.D. in genetics from the University of California, Berkeley in 1965. Lynn Margolis is widely regarded as one of the most creative scientific theorists of the modern era. She formulated the symbiotic theory of evolution (SET), which deals with the interconnection of prokaryotic and eukaryotic cells (cells with nuclei), explaining the emergence of new species by a mechanism known as “symbiogenesis”. She published her theory in her book, “Origin of Eukaryotic Cells (1970)” in 1970. At the time her findings were rejected by mainstream biologists, however her theory has now been widely accepted. Her 1981 work “Symbiosis in Cell Evolution” detailed her theory that a symbiotic merger of cells with the bacteria spirochetes developed into the internal transportation system of the nucleated cell. By the early Proterozoic eon (two billion years ago) different types of bacteria became so literally incorporated that they emerged as new kinds of larger individuals at more complex levels of organization. With Karlene Schwartz she published “Five Kingdoms: Illustrated Guide to the Phyla of Life on Earth” in 1982. It is an all-inclusive catalogue of the world’s living diversity, describes the major divisions of nature’s five great kingdoms—bacteria, protoctists, animals, fungi and plants using a modern classification scheme that is consistent with both the fossil record and molecular data. In 1983, she was elected to the National Academy of Sciences. She was awarded the Darwin-Wallace Medal of the Linnean Society of London in 2008. Margulis collaborated with British scientist James Lovelock on the Gaia hypothesis, which views the Earth (atmosphere, cryosphere, hydrosphere and lithosphere) as a single living organism that is an interacting system that maintains the climatic and biogeochemical conditions on Earth. 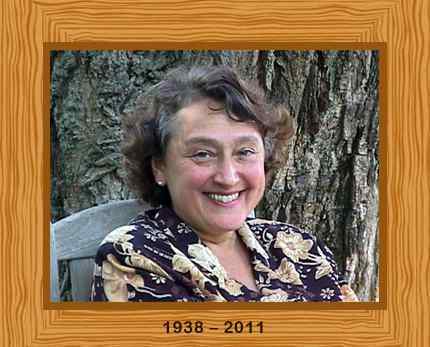 Lynn Margulis died of a hemorrhagic stroke on November 22, 2011. She was 73 years old.